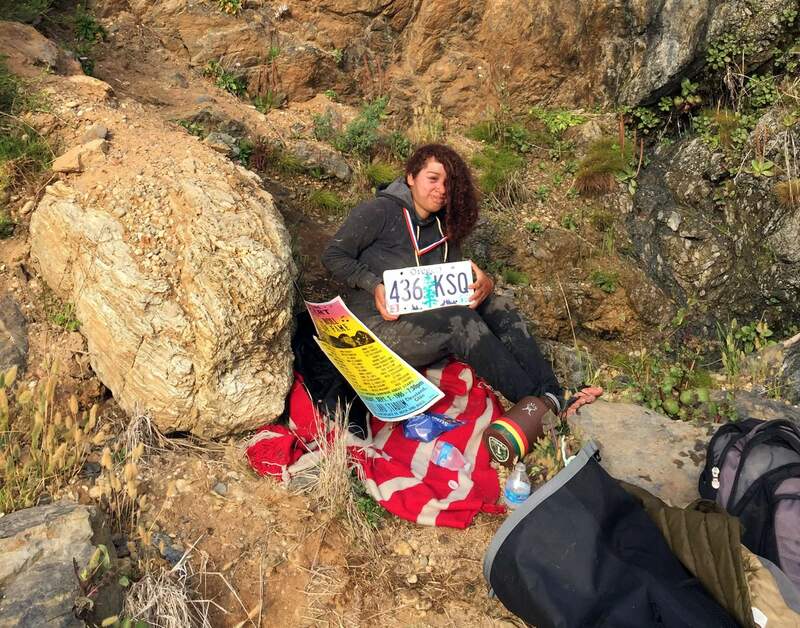 This Friday, July 13, 2018, photo by Chad Moore shows 23-year-old Angela Hernandez of Portland, Ore., after she survived a 250-foot car plunge off a cliff and a week stranded on a remote beach near Big Sur, Calif. Moore and his wife Chelsea Moore were camping in Big Sur when they came upon a wrecked Jeep in the surf line, and then a bit later found Hernandez. “We freakin’ love that beach and we’re so glad she’s alive,” Chelsea Moore said Monday, July 16, 2018. 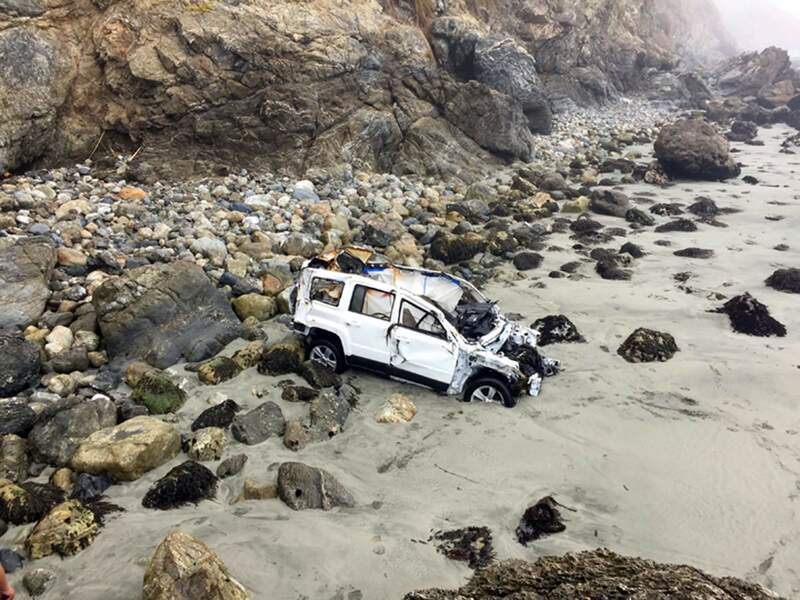 LOS ANGELES – A self-described beachcomber says it was her luckiest find yet: A woman who survived a 250-foot car plunge off a cliff and a week stranded on a remote California beach. 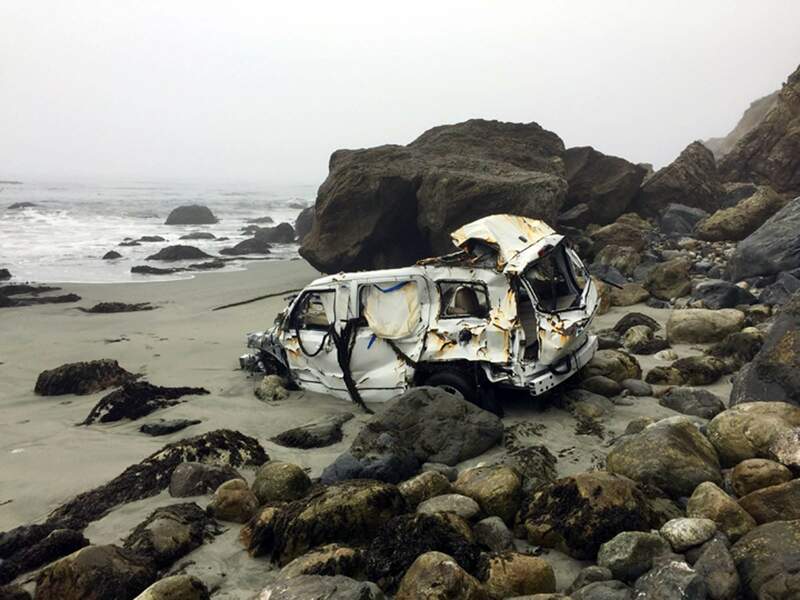 This Friday, July 13, 2018, photo shows the wrecked Jeep belonging to 23-year-old Angela Hernandez of Portland, Ore., after she survived a 250-foot car plunge off a cliff and a week stranded on a remote beach near Big Sur, Calif.
Moore, 34, and her husband Chad, 31, of Morro Bay were camping above an oceanside cliff in the rugged Big Sur area of Monterey County when they decided to climb down a cliff to a remote beach to find some good surfing and fishing spots – and a little adventure. But just in case, they walked farther along the beach. 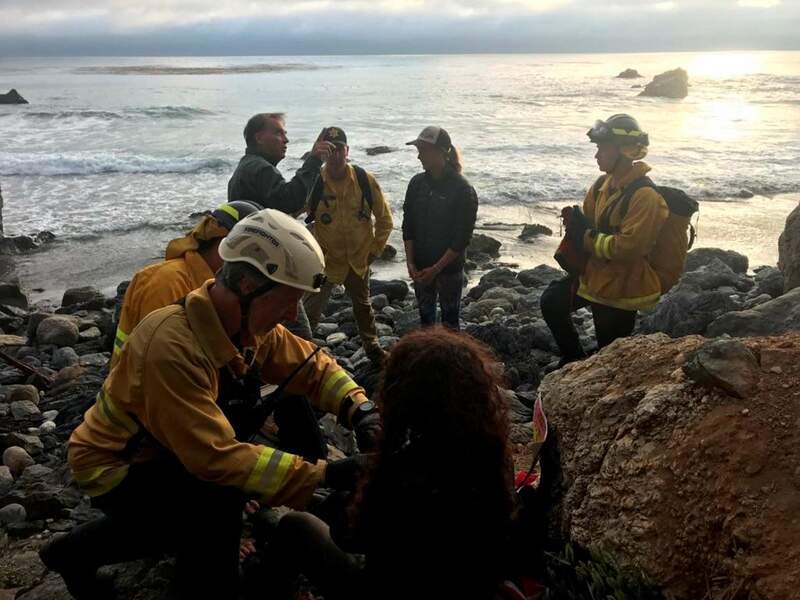 In this Friday, July 13, 2018, photo posted on the Monterey County, Calif., Sheriff’s Office Twitter feed, authorities tend to Angela Hernandez, foreground center, after she was rescued along Big Sur coastline, Calif. Authorities say a couple on a camping trip came upon Hernandez, from Oregon, who had been missing since July 6, after her car went over a cliff in coastal California.